Sequel to the 2012 horror film. So if you feel like watching a horror movie Sinister II is out this weekend. What are your impressions of the trailer, does it make you feel like watching??? I’ll be honest I liked the first one but I don’t think a sequel was really required, but hey I have not seen it yet it may surprise me and be ok!!! 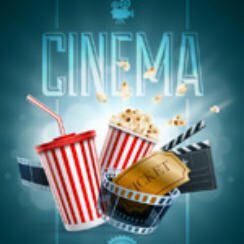 New to Popcorn Cinema Show, take a look around and why not subscribe and leave a comment. We need your help improving the experience by adding new features. Why not bookmark us and never miss a new release! You can follow us on those social media things, like Facebook and Twitter, click on the icon at the top of the sidebar.